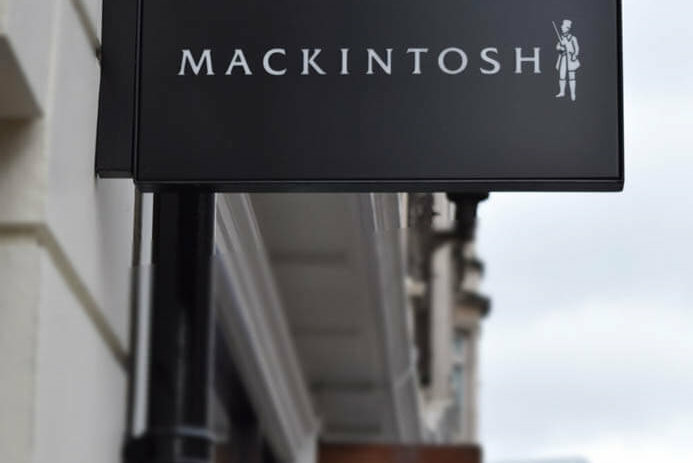 Scottish outerwear brand , Mackintosh has come a long way since creating the first ever waterproof jacket. 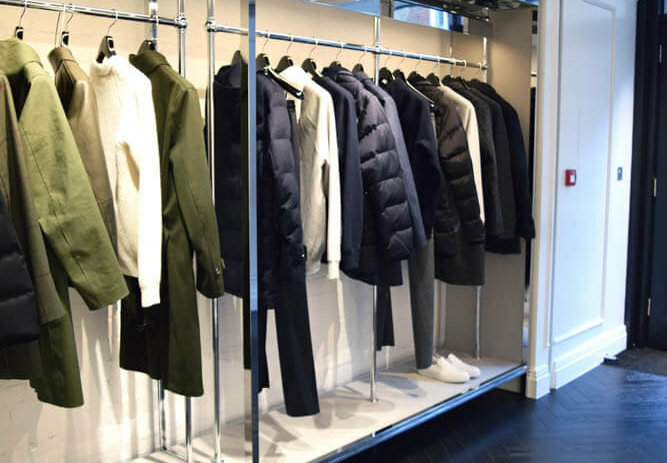 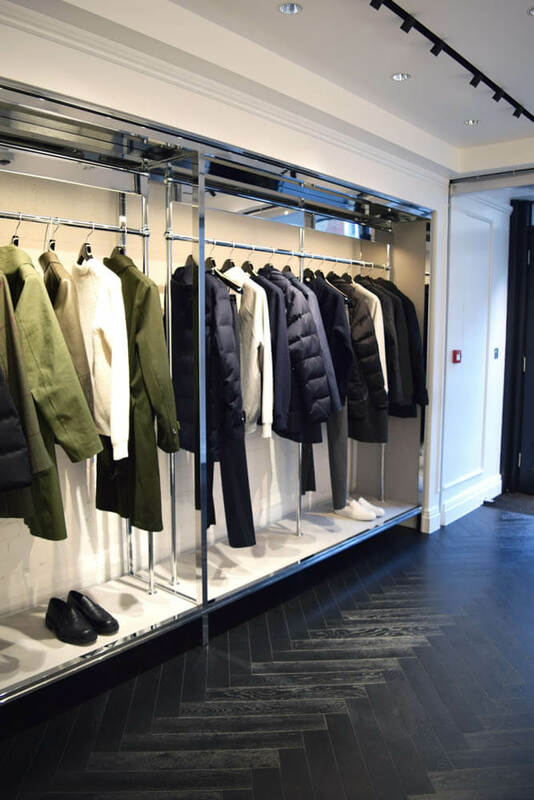 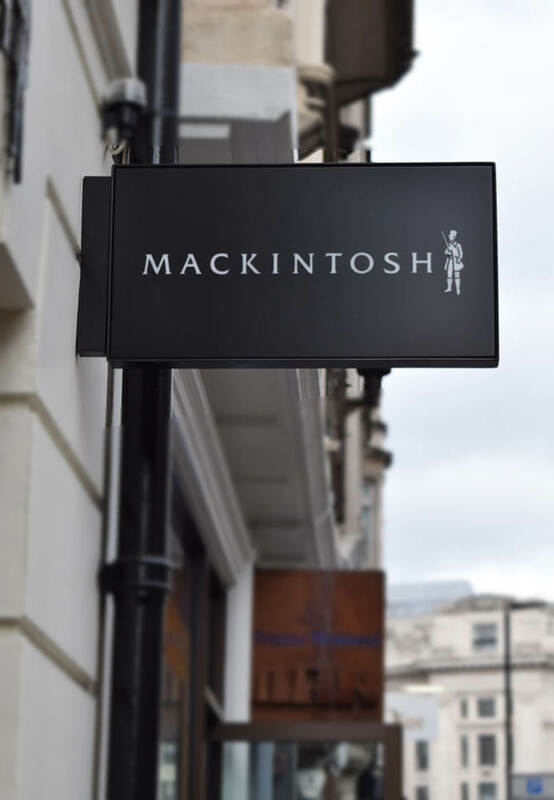 Known for their focus on quality and high end outerwear the new flagship Mackintosh store located on Conduit Street, London boasts an interior that echoes the label’s contemporary take on British craftsmanship. 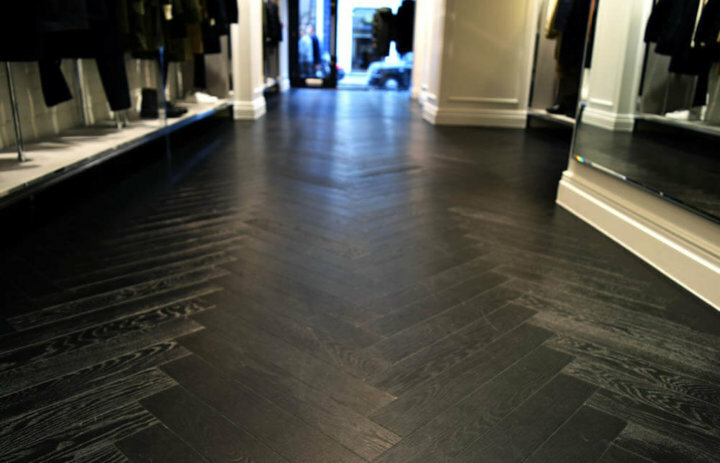 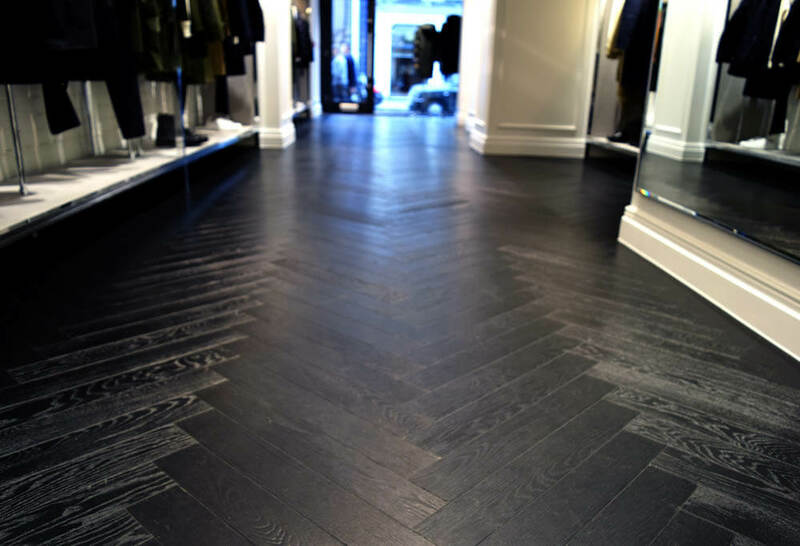 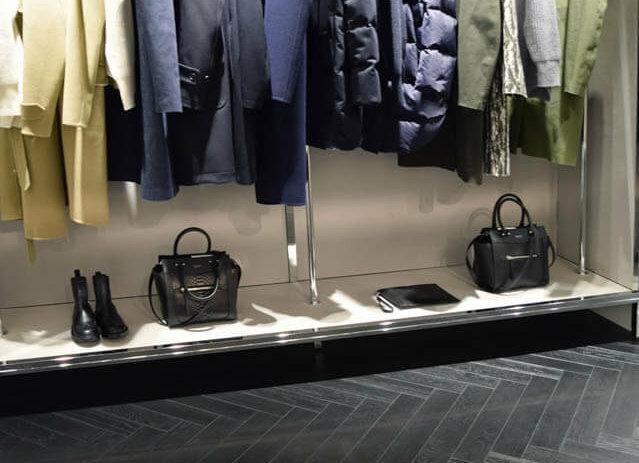 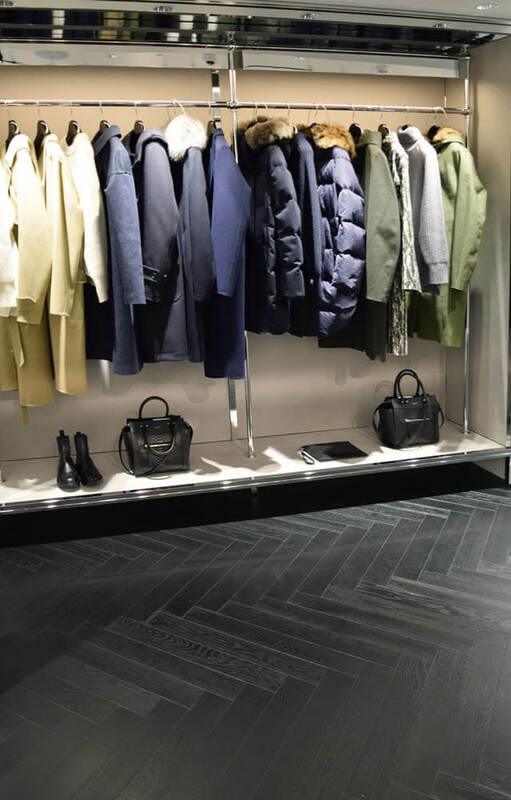 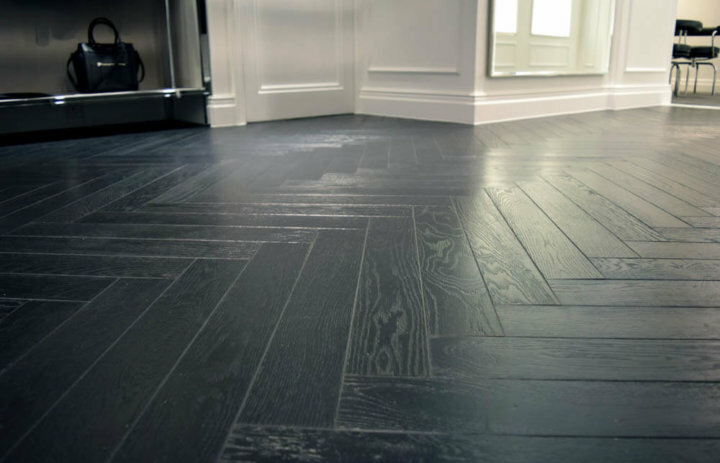 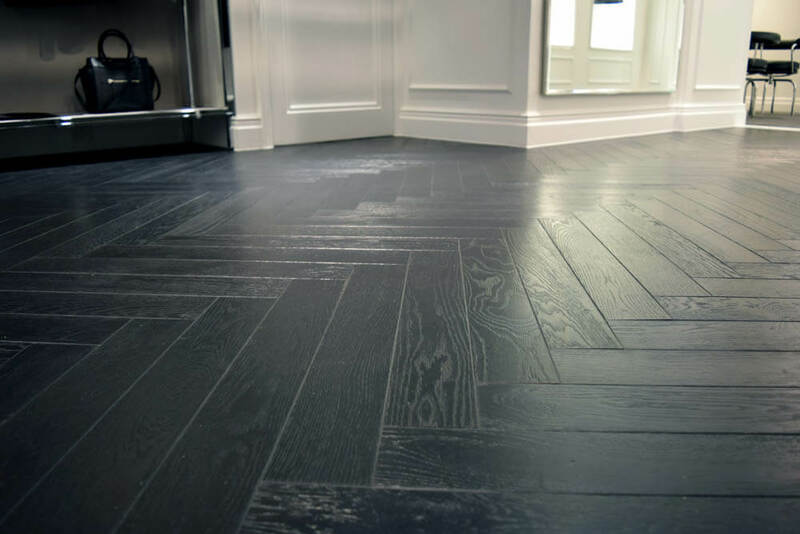 Looking for flooring that could match the new London store’s crisp , clean and modern layout, Architectural Corporation, Takenaka chose to go with our beautiful Brushed, Solid black painted parquet boards laid in a herringbone pattern. 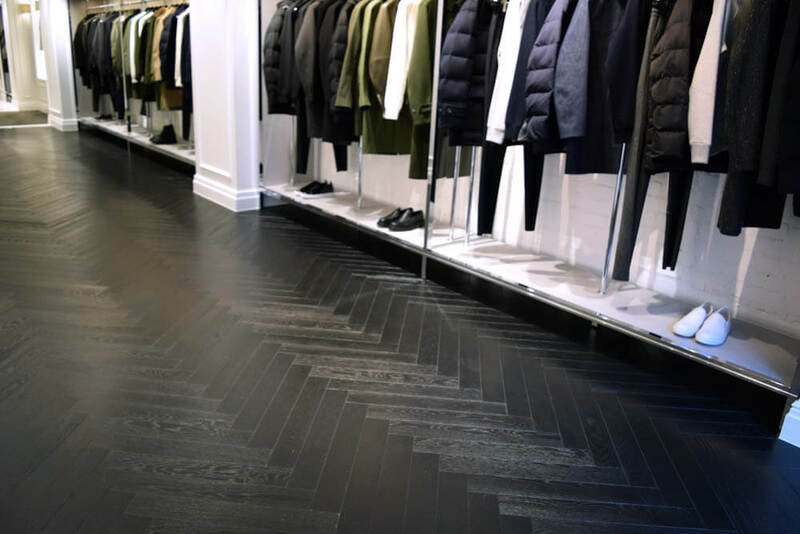 The outcome of brushing these boards was a slight but highly effective grayed effect in areas where the lighting fixtures reflected onto the flooring.